Western Capital, A Robert Paisola Org. Western Capital is a Financial Services Company located in Las Vegas NV. We specialize in business restructuring , Media, Photography Video Production and Investigative Journalism Worldwide. We also are the masters of Reputation Management and fixing (or creating) serious Reputation Issues. Robert Paisola, is an American business Motivational Speaker, philanthropist, and the Chief Executive Officer of Western Capital. 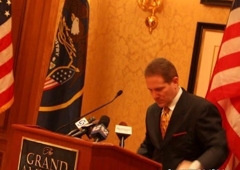 Robert Paisola is the founder of the Robert Paisola Foundation and serves as its Chairman. Paisola is a noted media analyst on the topics of the 2008 Recession, Foreclosure In America, and the business of Timeshare. Robert Paisola is an International Personality speaking around the world on the Principles of The Hit Movie "THE SECRET" Robert Paisola is driven by a passion for people--motivating them to reach for the highest standards of success. As founder and president of many International Corporations including Western Capital and The Success Training Network, and now, Western Capital Multimedia, the parent company of Rene Magazine located at www.ReneMagazine.com , Robert trains sales and marketing professionals who want to strive to get to the top...and stay there. He is a Nationally Recognized Criminal Rights Activist and is very involved with assisting inmates and their families who have been abused by the justice system. His innovative, no-nonsense approach is based on applying what he has observed in his fifteen-plus years in sales, motivational speaking and debt collection training, thus revealing the common business habits of the top 20% of sales performers in all organizations. While in Mexico, he uncovered a large time share "fractional sales" scam at the Playa Del Sol Grand Hotel. His report is located at: http://www.mycollector.com/news_playadelsolscam.html He is also a noted authority on ethics in the Time Share Industry, as evidenced by The Timeshare Chronicles at www.TimeshareChronicles.com Robert's unique approach to solving complex corporate problems works...that's why New York-based Success Magazine has rated Robert Paisola as one of the top-five most effective sales-training professional in the market today. Robert Paisola's newest book was just released and is available on Amazon.com. CONVERSATIONS ON SUCCESS was co-authored with famed author Dr. John Gray and Mr. Tom Hopkins. His newest book, BLUEPRINTS ON SUCCESS is scheduled for release in 2017 Robert Paisola speaks on an International Basis to support his foundation, The Western Capital Foundation. He is also a noted speaker on the topic of Group Dynamics, Change Management, Investing, Real Estate, Asset Protection and Stock Investments. 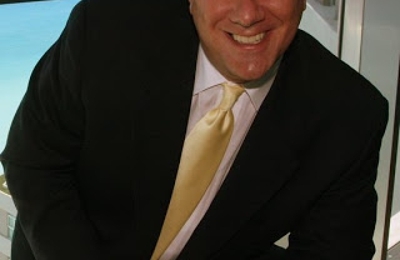 Routinely Distinguished by The National Speakers Forum, Robert is also a regular contributor to Business Week Magazine, XM Satellite Radio, The Wall Street Journal, Telemundo International, National Public Radio and many other organizations. Robert Paisola is also an International Travel Writer and Certified Expert for magazines such as Conde Nast Publications and The National Geographic Society. His award winning investigative reporting articles have gained him worldwide recognition. He is an expert in internet SEO and How to get your business to the top of GOOGLE AND KEEP IT THERE! As an investigative journalist, Robert Paisola has lead hundreds of National and International Investigations into Companies Worldwide. He is Currently on assignment investigating a company based in Las Vegas, Cebu City and Varna Bulgaria called 411Locals.com (411 Locals) You can follow this investigation at http://www.411LocalsFacts.com He remains at Western Capital as a part-time, non-executive chairman. We are a Multiple 5 Gold Star Rated Company and have funded businesses from the Startup Stage to 3 Round Capital Calls. Simply Said... Western Capital is the absolute best at what they do ! Special thanks to the Las Vegas Team for making our experience in the Modeling Industry Incredible!